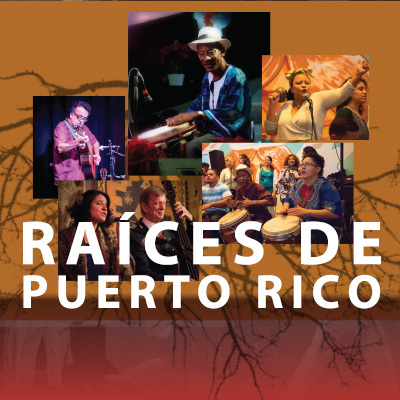 An evening of Bomba, Plena y Música Jíbara Puertorriqueña y Latinoamericana featuring cultural treasure Jesus Cepeda Brenes with Taller Bombalele, Madeline y Los Carpinteros with Pedro Pastrana Camacho, Julio Pérez and guest artists. Come witness members of this family of cultural ambassadors, who have been practicing their musical tradition for seven generations uninterrupted. Taller Bombalele was founded in September 2014 by Julia Cepeda (granddaughter of Puerto Rican Bomba Patriarch Don Rafael Cepeda Atiles) and Denise Solis (founder/director of Las Bomberas de la Bahia). Taller Bombalele offers Bomba percussion and dance classes and hosts Bombazos (Bomba performed informally in the community) throughout the Bay Area. Currently Taller Bombalele classes are offered on Saturday afternoons at Rhythmix Cultural Works in Alameda, CA; please visit their website for more information on classes (www.rhythmix.org). The Taller Bombalele Ensemble features students from the classes as well as other musicians from the Bay Area and is directed by Denise Solis and Julia Cepeda. Taller Bombalele strives to promote our Afro Puerto Rican roots music and dance tradition of Bomba, by teaching its history, dance, music, and songs through classes, lectures, workshops, and Bombazos to continue to preserve and expand this form of expression in the community. Taller Bombalele is also proud to be part of a diverse community in the SF Bay Area and is therefore committed to teaching, learning, and collaboration and in reflection of this community, we welcome our community of different cultural experiences and intergenerational participation. We strive to continually learn, grow and support each other in our learning. Madelina y Los Carpinteros is a multicultural Latin American ensemble following the tradition of the Nueva Canción and Nueva Trova – movements that came out of The Americas’ liberation struggles to freshly embody the folk roots with an enriched lyricism. The group sings original compositions as well as unique interpretations of music from Puerto Rico to South America and the Andes. The group features the vocal interpretations of Madelina Zayas (Puerto Rico) and the richly layered and deeply rooted acoustic performance by Fernando Feña Torres (Chile), Denis Schmidt (France), Craig Thomas (US), and special guests.